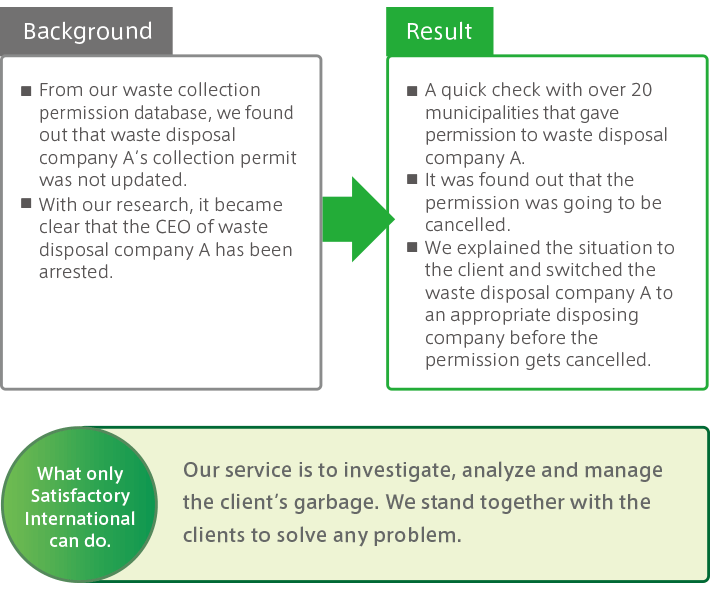 Switching to an appropriate garbage disposal company for an early problem solving! Clarify the risks that the clients were concerned of.Meet the needs of increasingly complicated listing examination. 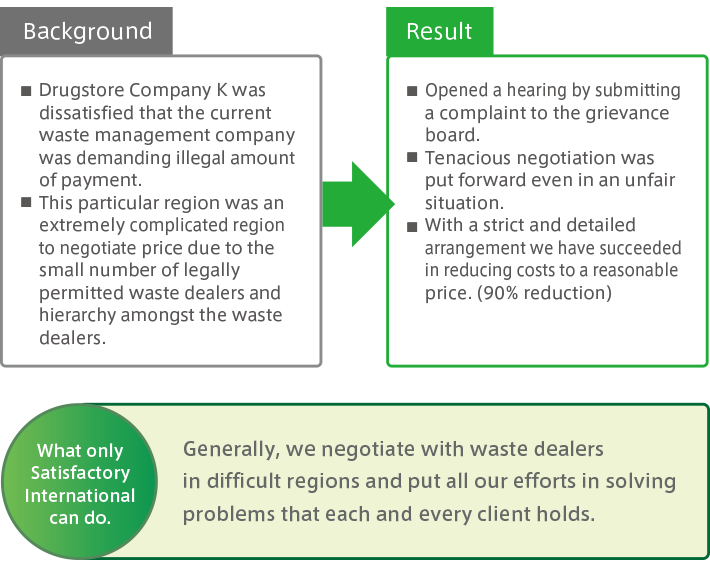 With our direct negotiations with the waste dealers who are in charge of a particularly complicated waste managing area, we have succeeded in optimizing the cost! 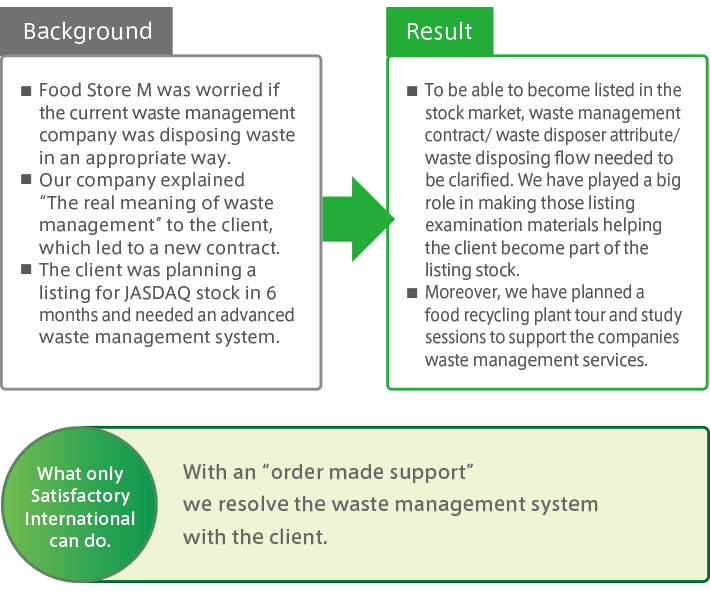 We have structured a new waste management model with our client, which resulted in a drastic cost reduction!